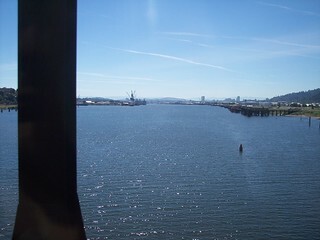 As we leave Vancouver we head across the Columbia River. 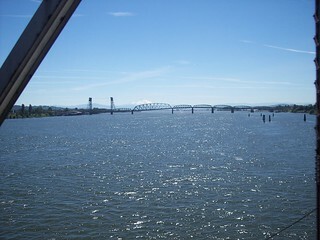 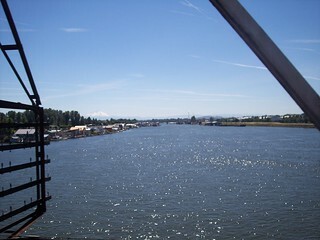 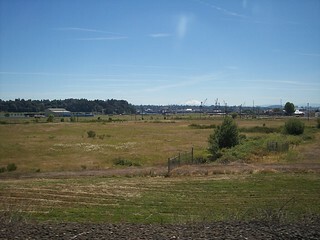 Mount Hood is visible in the distance. 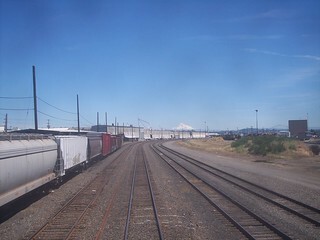 We see the rear of the Coast Starlight. 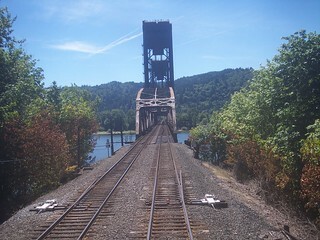 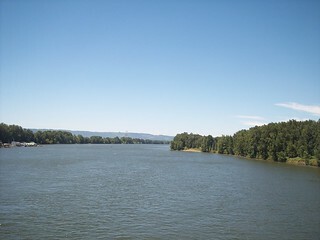 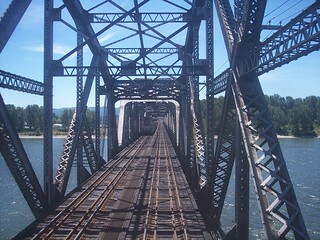 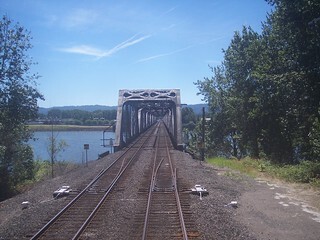 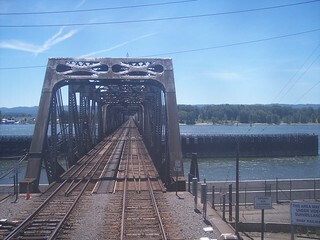 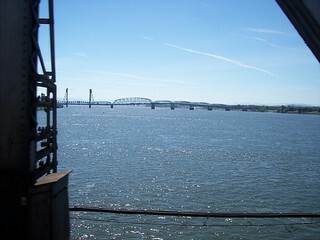 Our train also crosses the Willamette River. 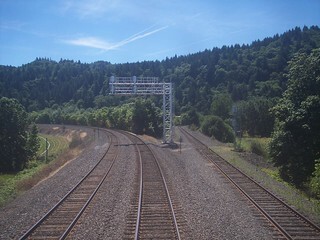 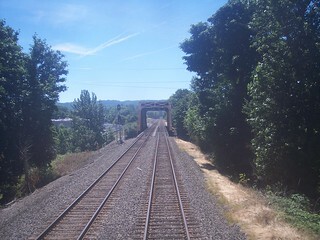 We continue to the left toward Portland while the tracks to the right head to the Oregon coast.